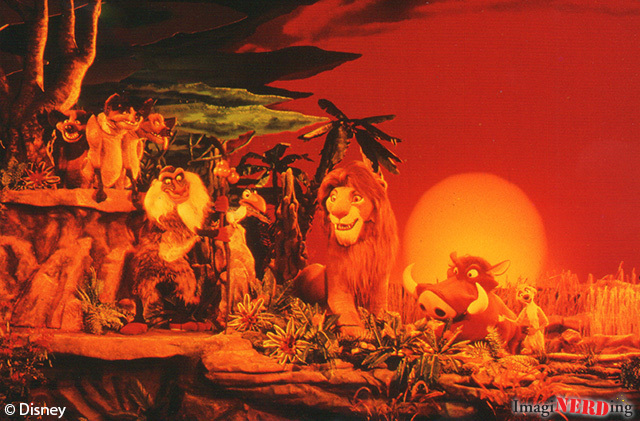 Simba, Timon, Pumbaa and all your Lion King friends return to Pride Rock in The Legend of the Lion King. Not much to this postcard from the Legend of the Lion King. It’s the standard promotional image that’s been used many times. The Legend of the Lion King was in the Fantasyland Theater from 1994 to 2002. It was replaced by Mickey’s Philharmagic.